Now that’s what you call a blockbuster cast. The casting is in final talks (so, not quite signed-on-the-dotted-line yet), but it’s looking like tvN’s upcoming grand-scale fantasy sageuk drama Asadal Chronicle will be an A-list affair: Song Joong-ki (Descended From the Sun), Kim Ji-won (Fight My Way), Jang Dong-gun (Suits), and Kim Ok-bin (The Villainess) are reportedly nearing finalization for the main cast. Let’s hope it’s announced soon. The actors have met with the writer and PD, who are more names to get excited about. Directing is Kim Won-seok of Misaeng, Signal, and My Ajusshi, while writing is in the hands of Kim Young-hyun of Tree With Deep Roots fame, as well as Six Flying Dragons and Queen Seon-deok, all massive sageuk hits. Though Dangun’s origin story is mythology rather than history, it’s believed to have drawn from real historical events, and it sounds like this drama may be exploring similar storylines as it tracks two main characters, a hero and anti-hero, over the course of the founding of the first nation. Song Joong-ki is up to play the main character of Eun Seom, who was born in a Blue Stone Village inhabited by a nomadic tribe under a prophecy wrought by the energy of a blue comet. He later becomes conqueror of Asadal, taking it from city-state to empire. Kim Ji-won’s character is born with the energy of the blue comet and becomes the first crown princess of the empire of Asadal — as well as the first woman politician there. She’ll also be Song Joong-ki’s first love. Jang Dong-gun is up to play a war hero and master of strategy, and I’m assuming he’ll be the anti-hero who faces off against the younger challenger. Given Jang’s perennial good-guy image, I’m eager to see how the two men clash. Kim Ok-bin’s character, meanwhile, is the first empress of Asadal, standing at the peak of power for a woman of the times. I’m sure everyone was eager to see what drama Song Joong-ki would pick to follow up the massive international success of Descended From the Sun, and this project certainly feels epic and grand enough to be a worthy next step (fingers crossed). Asadal Chronicle will be pre-produced and is planning for a premiere in the first half of next year. What? When Kim Okbin is in the headline, the only question I have is whether *I* would be worthy. I think SJK is not worth as the lead here, saw his acting in The Battleship Island movie and I was more impressed with So Ji Sub's acting there instead of him. He also still has the child-man aura, not a real man yet, I've watch DOTS and he still look boy there, not like a real man. Feel like a miscast for such epic and grand drama. Watch his drama syunkyunkwan scandal,Deep rooted tree, The innocent man. He is one hell of an actor. DotS and Battleship Island are not his best performances but he's shown plenty of talent before. Hopefully, he can recapture his early 2010s trajectory with this drama. I think DOTs worked because of him..
the character doesn't have much to do.. SJK made him charming.. battleship i haven't watched.. He is handsome and charming but I think he is overrated too. I liked him in SS but he was a bit over there, then he was just bad in Nice Guy, the character was far too hard for him. In Dots he was ok but the writing was so bad I dropped it halfway, the only time he was really good was in Wolfboy. I know you probably did not mean any harm with your choice of words, but it is important to be conscious of how saying "real man" can perpetuate toxic ideals of masculinity. I am currently watching Suits and I never saw Jang Dong Gun before, I know that he's super famous and just out of curiosity, do people find him to be a good actor? Like, Lee Min Ho is super famous too but we all know how he is as an actor. My knowledge of Korean language is only from years of watching variety and drama, but I feel like the way he talks in this drama is weird? Like, it's tone - less as if he is only reading from a script. Again, I don't understand Korean but I just found the tone to be unusual and I just want to know the reason. To me dots is great and he makes his character absolutely perfect. His previous roles are also awesome. And BI, I watched it because of him. And I see that all cast make a great team work. Not one or two, or certain actor is good but I think all do well with their parts. lets just see, if he really rock his role . His a good actor, he even marry Song Hye Kyo, one of the most beautiful girl in Asia. Just expressing my thoughts too. YES, PLEASE AND THANK YOU!!!! I've been dying to see Song Joong-ki in a sageuk again ever since his impressive turn as the young King Sejong in Tree with Deep Roots. DotS was a step back for him in terms of honing his acting skill, IMO, but I believe he'll be able to deliver here especially since he's worked with the PD and writer in Sungkyunkwan Scandal and TWDR, respectively, before. And wow I did not expect to see Jang Dong-gun and Kim Ok-bin in this. Now I'm expecting this to be really epic. I hope it lives up to the hype and not falter like Legend or Faith. I love My Ajusshi to bits,,and I felt that aside from its great great story and cast, the directing is also a top-notch,,so Kim Won Seok PD, I'll follow any news on your new project with excitement! Furthermore, this next project is a genre that would be different from 2 dramas of PDnim that I've watched (Misaeng and My Ajusshi), so I know I should wait to see how this new drama will fare from the two, but for the crew and cast that has given me My (beloved) Ajusshi, I wont be stingy with my best wishes for their future project. so Kim Won Seok PD, fighting! With those credits, the writer and director could entice me to watch a documentary about how to iron one's shirts properly. I'm sure it'd be phenomenal. Count me in for this blockbuster drama - though on the face of it, the description does not interest me. Haha I'm so with you on their credits! It's no guarantee for them to succeed in every genre but if you can do a fenomenale melodrama then I'll love you forever. I still haven't watched DotS and probably won't ever haha. But really fond of SJK, the only drama of his I've finished is Nice Guy. Awesome drama with lots of angst. Same here. I used to watch earlier running man episodes so I wanted to see how well he acted after he left. But never been interested in any of his dramas. DOTS, I cringed so badly watching the first 2 episodes, I just stopped. I want to watch this mainly because of the director. Been a fan of all Misaeng, Signal and My Mister. But I am also never a fan of fantasy or historical... so we'll see. I love when a hit PD teams up with another hit writer. Also when PD of Forest of Secret teams up with writer of W Two Worlds for Memories of Alhambra and PD of Tunnel film teams up with writer of Signal for Kingdom. This. The writer-PD combo makes this worth watching imo, regardless!! Finally sjk is back. I am so excited for this considering the fact he shines more in sageuk drama compare to contemporary drama. Legitimately broke into a sweat when I saw all those names in one place. I have trouble keeping up with epic fantasy, though, so I may not watch this. I'm cautiously optimistic about this one. At first I decided to watch this because of Kim Won-seok PD, but now the story intrigued me too. Given that the only time I fall for a sageuk drama is when they mixed a bit of fantasy there, this one seems to be up my alley. Crossing fingers that this will be one epic drama. Ouch, Legend is just messy and for the most part, ridiculous (though I understand the fantasy element). My only reason for staying put was Bae Yong Joon. So much talents writer/PD and Bae Yong Joon carried the ratings. That show was a let down from their previous work. Back to back masterpieces. It almost ruined Choi Min-soo for me lol. I do remember the child actors though. Shim Eun-kyung and Park Eun-bin especially. The writer and director are no joke. I feel optimistic already about this drama just because of them. I feel a bit disagree tho with the cast because sjk perfomance in tree with deep root (by same writer) wasnt that wow and im not a fan of dots so i wish the male lead is another actor with more fierce and tough look, and kim ok bin perfomance wasn't impressive at all in children of a lesser god. But if they in, ill take whatever they offer bcause six flying dragon and signal were that great. 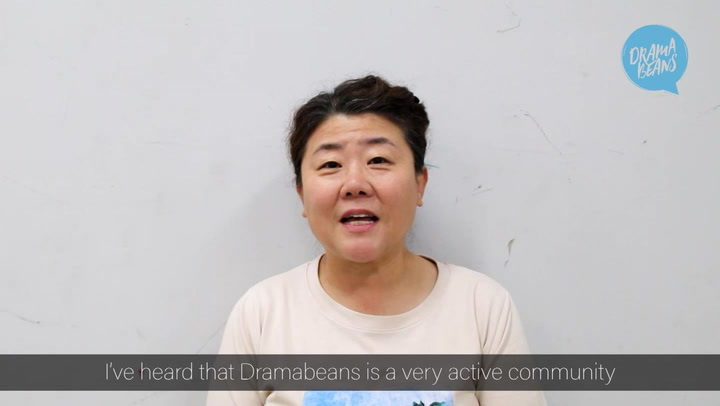 Thanks for the sageuk casting news, javabeans! My prayers have been answered: a pre-Joseon drama. Gojoseon and gat-free. Manes of glory FTW. Manseh! The writing & directing team are cause for rejoicing, too. With SIX FLYING DRAGONS, TREE WITH DEEP ROOTS, SIGNAL, and MISAENG among my favorite Kdramas, I'm anticipating a solid production. I only recently made the acquaintance of Jang Dong-gun in SUITS. It will be fun to see him in sageuk garb instead of a three-piece suit. Yes! I love this era and wish we had more sageuks set at this time. You are not the only one. I think SHK gave her permission for her hubby to work closely with their friend KJW, just like SJK gave permission for his wife to work closely with their friend PBG. SHK = Song Hye Kyo, PBG = Park Bo Gum aka Song Joong Ki's wife and close friend, respectively. The two have recently signed on to co-star in a drama called 'Boyfriend'. Sorry, SJK is Song Joong Ki and PBG is Park Bo gum, who will star with Song Hye Kyo in the upcoming "Boyfriend". All 4 of these actors /actresses are close friends in real life. I am making an assumption these are the correct names to the initials. Kim Ok Bin, Kim Ji Won I'm sold !!! Yes please, thank you very very much !!!!! Oooh I'm interested. Sageuks and fantasies are my favorite types of kdramas and so, what's not to love here!! I hope a sageuk means KJW won't have occasion to talk cutesy. I liked her a lot in everything I had seen her until Fight My Way where her cutesy talk disgusted me so much that I still feel bitter. I hope I can like her again with this drama. ....her character in Fight My Way was deliberately trying to be disgusting with the cutesy talk. If it disgusted you then clearly she succeeded in her job. That is exactly what was wrong with that drama. At first she used the cutesy talk to make PSJ's character gag. In the later episodes after they had confessed their love she kept using the cutesy talk and he swooned for her. THAT is what was wrong. They tried to convince me that it is disgusting, and they succeeded because honestly that screechy cute isn't cute at all, and then they were just like oh he likes it now because he loves her. No, sorry, that was bad and tasteless execution. Her character in FFMW was nowhere near cutesy though. She only had few aegyo scenes intended for the laughs (and it suceeded, her aegyo scenes went viral), but it doesn’t define her character at all. Also, Dongman (PSJ) never swooned for her aegyo, not even after they started dating lol. I’m not sure what you’re too disgusted about tbh. I think I watched FFMW twice and I never thought her character was the cute type, she was rather tomboyish. But, but it was done to specifically make fun of that sort of thing. Thus, Dongman's equally cutesy response and the utter horror of those witnessing it. KJW and PSJ were brilliantly funny in that scene. I'm not only referring to that one joking scene in the beginning of the drama. That was to tease him, but after they confessed to each other she kept using that voice and he swooned just by hearing it and sorry, but I disliked it excessively. Ok, but she is following a script, so I'm not sure why you would actively dislike an actor so vehemently for doing her job as written and directed. I get not liking the character, and the way a story is executed, but to lay the entire blame at the feet of the actor herself, and to let that color how you see all future performances, that I don't get. But that's just me, so maybe we'll just have to agree to disagree. Well if I disliked her so much I wouldn't be looking forward to her new drama and liking her a lot again. Her character's way of talking disgusted me into hating a drama I had wished to love a lot, and I'm still bitter for that. English is not my first language so I beg pardon if I sounded like disliking KJW vehemently. Thanks to your heads-up, ASADAL CHRONICLE has been on my radar. Mahalo! Thanks for the good news <3. I'm taking a break but will be back for "Asadal." Early Korean history and myths is interesting even with the lack of primary sources. This party will be so much fun! We will have "a lot" to talk about. Here is hoping that Song Joong-ki and Kim Ok-bin will accept. I do understand if it's taking a long time for them to decide. It has a potential to be an epic success like "Jumong" or a let down like the "Legend" which sadly marked the downfall of the legendary duo writer and PD of all time. In what way was LEGEND / STORY OF THE FIRST KING'S FOUR GODS a letdown? The Turtle Snake sounds familiar from KINGDOM OF THE WINDS, which I realize is set later, in the Three Kingdoms era, and not Gojoseon. KING GEUNCHOGO / KING OF LEGEND, and GWANGGAETO, THE GREAT CONQUEROR have been on my to-watch list for a while. How do you rate them? I'm intrigued by the prospect of Kam Woo-sung in a sageuk. So much to say so I'll be back later <3. Now I must start praying that Netflix will show this simultaneously like they are doing now with Mr. Sunshine. If not, this show might be the one that pushes me over the edge to subscribe to more kdrama venues. Well not exactly but within 24 hours. Yes... Finally, Kim Ok Bin and Song Joong Ki. They finally cast something someone worth opposite SJK as the leading quartet.. Can't wait to watch this one. I'm become a fan of Kim Won Suk since My Ajusshi... That was one of my most fav drama of his work. Hopefully it will work with this writers because I'm not too familiar with them. YES! I'm excited the most with the casting of Song Joong-ki (feels like forever) and Kim Ok-bin. Kim Ok-bin is a fantastic choice. She has the talents and experience to take an antagonist role to another level. I'm with you. PD Kim Won Suk's "Ajusshi" is my favorite from all his work. I'm excited that he is part of this project. PD Kim Jin Min would have been great too with his sageuk experience. I hope he'll get to direct one in the near future. It will be reunion between SJK and Kim Won Suk and this time he is being the leading man. I can't wait to witness SJK at his best again, hopefully. Thanks God this time he is wise enough to choose project which will take advantage of his talent. PD Kim Jin Min would be great. But KWS is a good choice too. I really love My Ajusshi due too how moody the athmosphere is, the ambiances, Etc.. It's just my most fav. Of his directorial. Hopefully he can be even better. Well, I thought "Misaeng" would remain unchallenged but "My Ajusshi" had my heart. Well, this won't be PD Kim Won Suk's first major sageuk. He worked on " Immortal Admiral Yi Sun-sin " and "King Sejong the Great" (closest you can get to the actual history). "Asadal" will be his first solo sageuk. Sageuks based on Myths and Legend hasn't been the most popular among the older viewers. I think if it's done like "Nirvana on Fire" they'll get both young and old watching. PD Kim Jin MIn ever directed a sageuk? Well, I know he is good but I kinda disappointed with his works in "Lawless Lawyer" (putting aside the weak writing). "My Ajusshi" is the magnum opus of PD Kim Won Suk. I meant to talk about PD Kim Ji-won who was attached to this project in the beginning but it got cut. I hope jTBC would give him a chance to direct a sageuk in the future. @kiara, I'm still bitter about their decision to cut off Kim Jin Won as Director... Ughh.. . But I understand it because Kim Won Suk has more recognition to his name among alot of fans. Kim Jin-Won wasn't cut. He was NEVER attached to the drama. When k-media first reported on Asdal last March, that this would likely be Song Joong-Ki's return project, the powers that be (ie. tvN/Studio Dragon and KPJ, the agency for writers Kim Young-Hyun and Park Sang-Yeon) were already deep in negotiations with the city of Osan to build the sets on one of their lots and PD Kim Won-Seok's name is plastered on all the official papers. (These are public records because it was discussed at the city council and all the media had to do was to look it up.) My guess is that "reporters" heard one of Song's former PDs would direct the drama and just assumed Kim Jin-Won because he was the only free agent at the time. (Kim Won-Seok was working on My Ajusshi and PD Jang Tae Yoo was attached to Saja.) But it makes little sense because Kim Jin-Won has no experience with sageuks, whereas Kim Won-Seok has directed Sungkyunkwan Scandal and was co-director on Dae Wang Sejong (the epic sageuk from 2008). And Kim Won-Seok just doesn't sign on a drama at the last minute (look at his filmography, there's a gap of two years in between each project). That he's doing this so soon after My Ajusshi means he was attached long before, probably last year. I've seen some blueprints for the sets (both indoors and outdoors), and the sheer amount of detail and attention suggests it was in the works for a long time. "Reporters" are just playing catch-up. @CL well why it makes no sense though? PD Kim Jin Won is talent. I'm sure he can handle heavy material like sageuk. But thanks to your confirmation. But earlier report he would took the project, so I assumed he was the one who got the Job. @missjb oh Kim Jin Won has talents and I love his work very much. But sageuk is a different beast and I'd want him to start on a smaller scale than take on this humongous project for initiation. (Never mind the issue of whether TPTB would bet on a novice for this.) And it IS humongous. It's an enormous challenge even for the likes of Kim Won-Seok, because of the CG and fantasy elements. I didn't know PD Jin-won's involvement was just a rumor. It seemed like everyone and their grandma reporter ran with it so I thought it must have been true. It's understandable that Won Seok would be the go to PD for a huge project like Asadal. No complain here. I wish jTBC would produce more epic sageuks like they did in the beginning with In-soo and Cruel Palace. Jin-won could use one under his belt. This is going to be very expensive. tVN doesn't have a sageuk set like MBC and KBS. Maybe they'll re-use some of sets from Mr Sunshine, if it's a tvN project? Asadal (?–108 BC) will be very different from Mr Sunshine (late Joseon 1871 - ?). They might need to build a city or a palace like the one in Jumong. Costumes will be very different etc. You are right of course! I was just thinking about how scenes can be framed using only part of a building and give a completely different feel. I was wondering if they might not do something similar for at least part of it. I am not knowledgeable about film making, but I know that things can look very different in a movie than how they are in rl. At any rate, I am looking forward to seeing how this one turns out, whether they have to build a huge set or not. Costumes are of course a completely different matter. I LOVE it when the effort is made to be historically accurate. It makes a huge difference! Asadal's going to be massively expensive, but CJ (the entertainment chaebol group behind tvN) has money and for a project like this, I'd rather have tvN any day of the week than MBC or KBS. The latter may have sets but they're useless for Asadal. (They also have other systemic problems, there's a reason they're losing all talents to tvN and jTBC.) The keyword for this drama is fantasy, not sageuk, and PD Kim Won-Seok's challenge (with VFX help from Dexter Studios) is to create an entirely new, mythological world. Period-wise, we're in the prehistoric era, the Bronze Age, and there are little to no historical records left for Gojoseon so I honestly don't care whether or not the drama is historically accurate. I get a very strong feeling with Asadal, it's the mythology that matters, the story of gods and humans, and if Kim Young-Hyun, Park Sang-Yeon, and Kim Won-Seok want to let their imaginations run wild and create a new world we've never encountered in k-dramas, it's perfectly fine by me. Not just a sageuk but he produced and directed a couple of sageuks. If you a history geek you'd love his work in "Shin Don." Me (reads the title) : hawwww(mouth gaping open). (reads the description): WHOOAAA this is epic. Love the description. I have a thing for epic historical and mythological stuff with a very strong in influence of fate and destiny. I can't wait to call my best friend. She loves Song Joong Ki to pieces and she has only watched DOTS. She has just gotten her stitches removed from her leg 2-3 days back so she will not be able to jump as mutch. Cellphone dearest get ready for some epic squealing. Everything about this is so perfect. I don't think I've ever seen a better combination of cast, writing and directing in the history of Kdramas. Song Joong Ki in a sageuk. Check! Kim Ji Won and Kim Ok Bin, two of my favorite strong leading ladies. Check. Kim Won Seok directing; I have given only 3 of the Kdramas I've ever seen (out of over 250) perfect 10 star ratings and he has directed two of them, and his 3rd I give a 9.5. Check! Finally, you get writer Kim Young Hyun who has written three of the best sageuks I've seen, including THE best in Tree with Deep Roots (where I still think Song Joong Ki may very well have turned in his best ever acting performance). Wow! Check! And I almost forgot the icing on the cake is that it's on TvN which means it can be a little racier! Woohoo! Wow! I’m there! Jang Dong Gun and Somg Jon Ki?? Great actors! Is a bear woman a woman who turns into a bear, like a werewolf? Or a bear who turns into a woman ? Latter, in this context, I believe. In the legend, it's a real bear. She prayed to the Prince of Heaven to become human, so he advised her to eat garlic and mugwort and stay out of sunlight for 100 days. She suceeded and needed a husband so the Prince of Heaven married her, hence they had Dangun. There was also a tiger but the tiger failed because he's a carnivore. However, modern historians have interpreted this legend as the union of the Bear Tribe and the Shamanistic Tribe that worshipped Heaven. Descendants of the Sun reunion! Look at Kim Jiwon, my baby, playing in the big leagues! Having followed her since What's Up, this news is truly a balm to my soul. If Kim Ok Bin is the empress and Kim Jiwon is the crown princess, are they mother-daughter? Seems strange if so, since Kim Ok Bin is only 31. Fingers crossed this isn't going to be a testosterone fest, with only the hero and the anti-hero getting all the focus. The PD and writer's treatment of female characters in their past work gives me some confidence we won't be subjected to that. Did you see Kim Ji-won's cameo in "Mr. Sunshine"? It was brilliant, albeit brief. I haven't watched the actual show, but I did catch her snippet. She more than delivered, as usual. God bless Kim Eun Sook for using her massive powers to actively shine a light on a talented actress who was being slept on by the industry. Kim Ji Won's rise has been one of my favourite developments in kdrama over the last 2 years. I interpreted like this: it's said in the article that Song Joongki's character is the one who founded the empire so I guess Kim Jiwon was his wife when he was Crown Prince and Kim Okbin become his primary wife, as in empress, when he ascended the throne. Never not excited about a drama from this writing team. Really happy to see SJK in this one as TWDR is still his best performance to date. I've been waiting for something grand and fantastical from SK. Something more like Six Flying Dragons but not completely based in history with more magic and mythology. I'll be looking forward to this. I doubt there will be dragons or mystical creatures but I'm hoping for some grand battles maybe?? And magic. Lots of magic. >__< Please! Woah this sounds exciting! Misaeng and My Ajusshi are beautiful, and I liked The Legend (except for the ending) back then, too. Nowadays to me the director and screen writer are more important than the actors. The actors can be exceptional and show their full potential when they're in the right hands. Meanwhile, good actors can elevate a drama with their skills and chemistry, but can't save a drama if the directing and writing are so bad that everything is just ruined. I might be in the minority but Scarlet Heart and Pretty Noona come to my mind as examples, they could have been so much better if at least the writing was good. Such a waste of talent. Sorry, I meant Moon Lovers. Scarlet Heart was the original drama version and it was achingly beautiful. The writer is good if his track record is anything to go by and sageuk is definitely his genre. I have nothing more to add up on PD Kim. His works speak justice for him - BRILLIANT. I am super excited over the production team. PD Kim is one of the best in the industry, coupled with a veteran sageuk writer with string of impressive projects under his belt. And it's a tvN production. What could possibly go wrong ? Not excited over the casts though, except for Kim Ok Bin (though I find her better in movies, but not so much in dramas). To me, I'm fine with Kim Jiwon's casting. I mean she has good enunciation and she manages to make her presence in dramas. She was mostly in modern dramas but when I saw her in "Joseon Detective 3" playing her character in her flashback scenes (they're not absolutely amazing but we can see her potentials) and her impressive cameo in "Mr. Sunshine", I was thinking she'd take more sageuk roles. I can see what she's trying to deliver in those scenes. She wasn't amazing in "Detective 3" but D3 was crappy anyway imo. I think they need to end it with the 3rd. Kim Myung-min can do so much better. Writers Park Sang-Yeon and Kim Young-Hyun have been wanting to work with Song Joong-Ki again since Tree with Deep Roots (the imaginary confrontation betwee the two Sejongs was added at the last minute because they loved him so much in the role) so I'd say your hopes of getting anyone else in this role are next to nil. Park has even given a lengthy interview a year before Song's military discharge in which he explicitly named Song as the actor he wanted to work with and extolled his talents, there were multiple sighting reports of Song, Park and Kim through last year, so that they're reunited per their wishes is little surprise and I don't think you're giving the writers enough credit if you think they're just going for his star power. More than anything, I'm curious to see the costume. Since the setting for this drama predates the Three Kingdoms, I am eager to see what people back then wear. Going by this writer's previous works, we are in for another treat of a show ..... a show filled with interesting characters, with full stories developed and maintained throughout the drama and which will engage us from the first episode. I certainly hope this is the case as I definitely look forward to this. Writer, Director, Song Joong-ki, and Kim Ji-won all together in one drama means heaven has truly descended on Earth. Sageuks are slowly becoming my favorite drama genres, and I am completely beyond excited! The months in which this drama is airing will probably the best times of my life (I hope). Forget Mr. Satan, this is the blockbuster project I’m going to watch the hell out of. Fantastic PD, fantastic writer, fantastic cast. They cast great actors without shady personal lives, ya feel? I’ve been impressed by SJK since his cameo in Tree with Deep Roots so I’m excited to see him returning to sageuk with the same writer. I’ve loved Kim Ji Won in everything I’ve seen her in. Kim Ok Bin is incredible (I’m curious if she’ll be doing stunts like in her last film). And my mom likes Jang Dong Gun lol. So far, I’m all aboard. You had me at 'Director of My Ajusshi'.